Diana, Madeleine, and Shannon. The hat-trick. 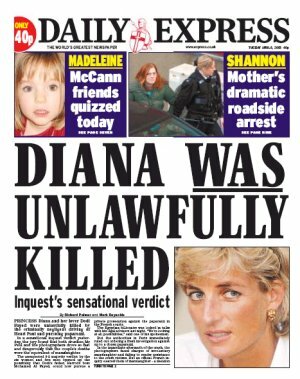 But how are they going to manage to keep Diana on the front page for another ten years?